With the release of the Samsung Gear Fit 2 Pro, those of us owning last year’s Gear Fit 2 also get to enjoy many of the software upgrades shipping with the Pro version, such as continuous heart rate monitoring, support for Spotify, plus a weather and a schedule app. I tried out the Spotify app as a trial user and can confirm it works without any major hiccups. My main interest in the software upgrade was in continuous heart rate monitoring. It is exactly as the names suggests – a second-by-second monitoring of your heart rate. My experience with continuous heart rate monitoring on the Gear Fit 2 is that it is a battery drain. I wasn’t able to get through 24 hours with it enabled. It’s not something I would be able to use round the clock but used more strategically it showed me what my heart does during different activities and even stressful moments. With this kind of technology, I would assume that monitoring heart rate variability (HRV) would be possible. HRV is believed to be a more reliable predictor of one’s overall heart and fitness health than just an average heart rate. HRV measures the time interval between each heart beat. Generally speaking a higher amount of variability between beats indicates a more fit and healthy heart. When we are more stressed or fatigued variability decreases. It seems like it would be the other way around but it turns out higher variability is a good thing. 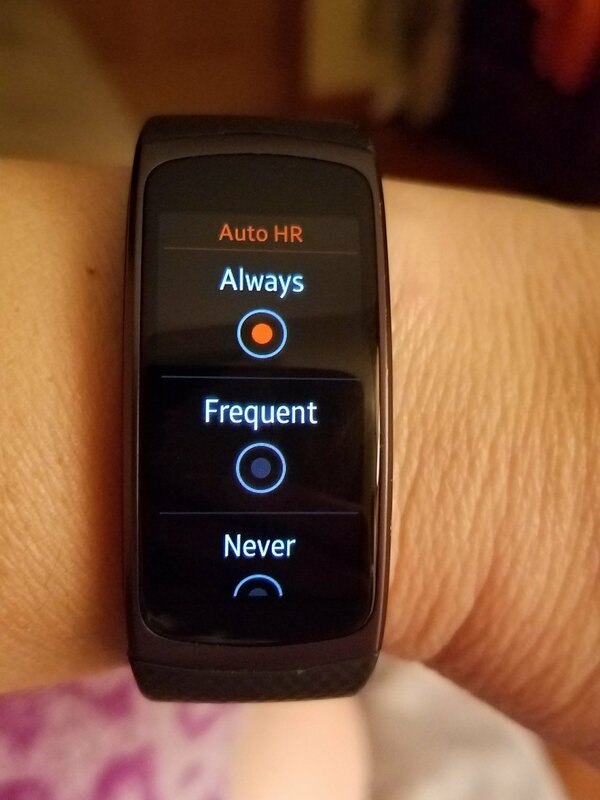 However, HRV isn’t available just yet on the Gear Fit 2 but maybe we’ll see it in future Gear Fit models or through software upgrades. It would be nice. The Fitbit Charge 2 and the Garmin Vivosmart 3 already track HRV and a new watch still in the crowdfunding stage, the Viita watch, looks to really capitalize on HRV. Still, even without HRV data, a lot can be learned by looking over the data that is available. 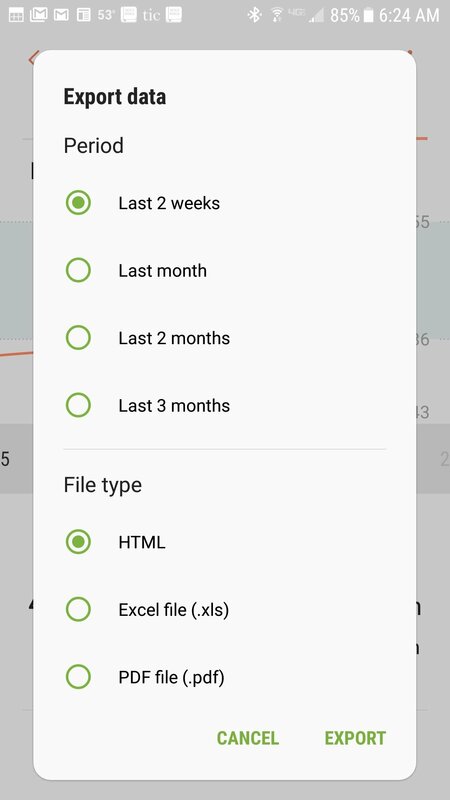 Even though the app only gives a breakdown minute-by-minute (second-by-second would be a lot of data!) I can see the impact of my dogs waking me up way too early in the morning. 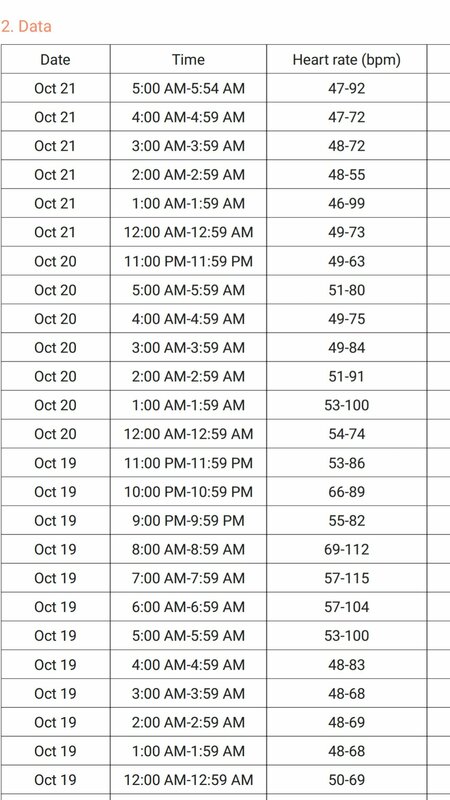 This is a snapshot of 4am-4:59am. I told you it was way too early. If it had been my cat, I would have woke up much more quickly since he usually bites my foot. He’s not nearly as subtle nor patient as the dogs when he wants me awake. 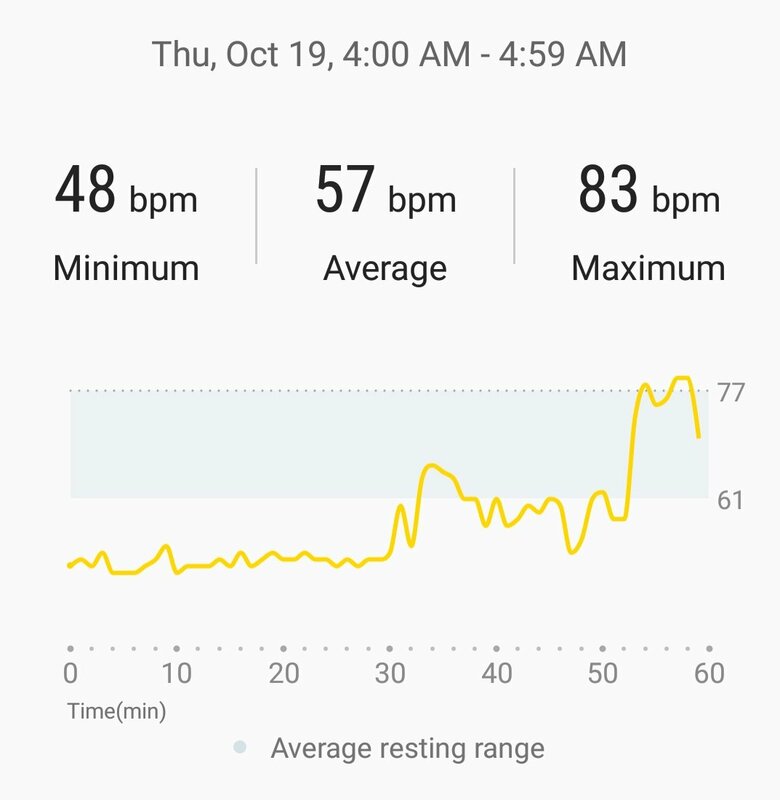 Yes my heart rate is really that low or lower when I sleep. I’ve worn holter devices that have captured the same data for my cardiologists. 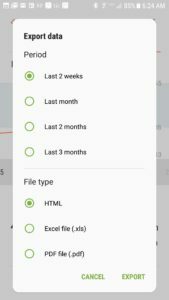 And if you really want to be a hypochondriac or just provide data for your doctor to take a look at, the app can export the data into different formats. It doesn’t give super detailed information but possibly enough to be helpful. 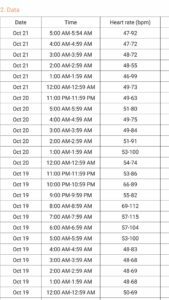 Below is a screenshot of the PDF file created from my data. 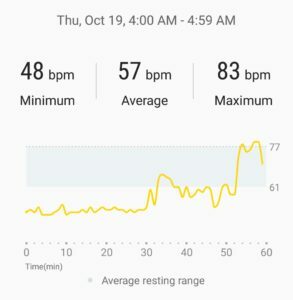 Overall, I discovered some interesting patterns of my heart when I’m active, sleeping, sitting, stressed out, calm, etc. I could possibly do things to help reduce stress to help my heart out but the dogs waking me up at 4am…that’s hopeless. I’ll be waking up too early until death do us part. And the way the cat wakes me up and undoubtedly jolts my heart that may be sooner than I’d like. 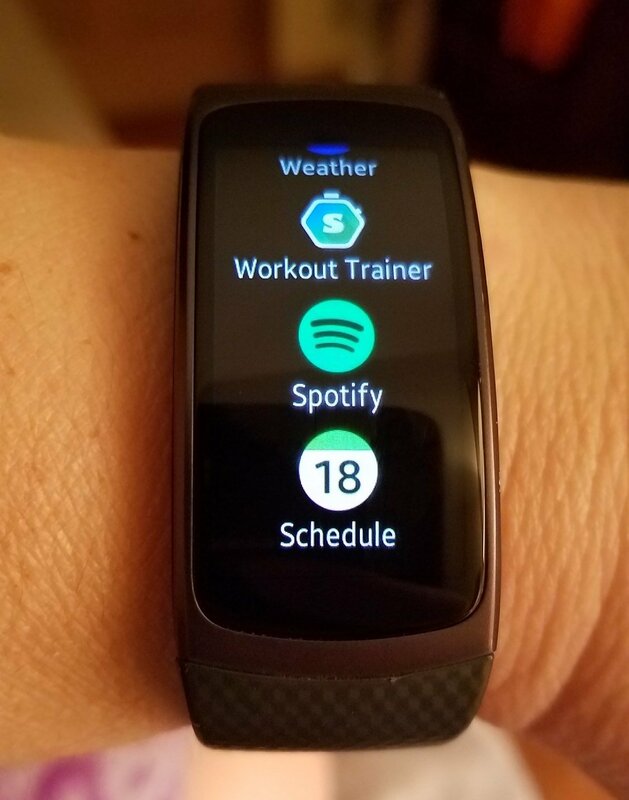 Next articleCan a $50 GPS Fitness Tracker Measure Up?